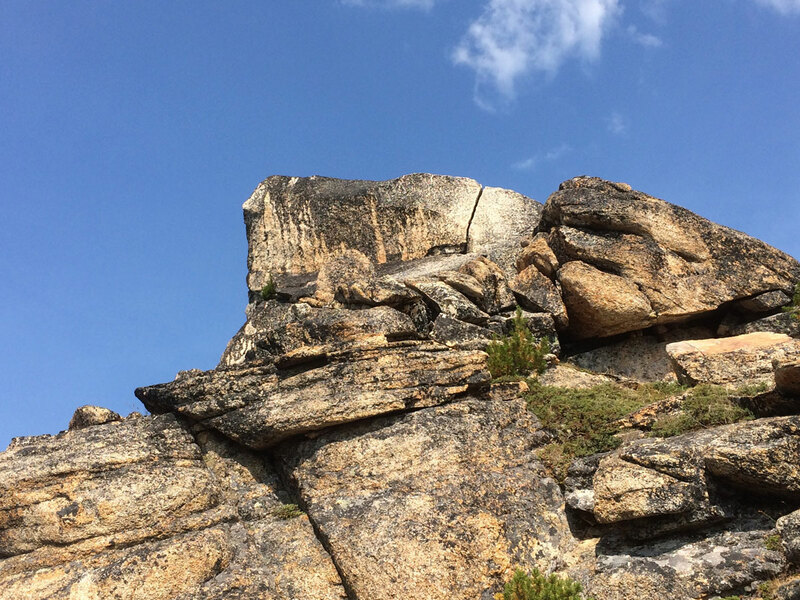 The Alpine Rock Climbing course is appropriate for 6-day course graduates with a firm understanding of the basics of rock climbing including the ability to tie knots, belay and rappel safely—multi pitch climbing experience is preferred. While there is a day of review, the majority of the course is spent climbing 3 separate, full-day (8+ hours) alpine rock objectives. Students can expect strenuous approaches of 1.5-3 hours, long days, big exposure, and minimal opportunity to rest between pitches. 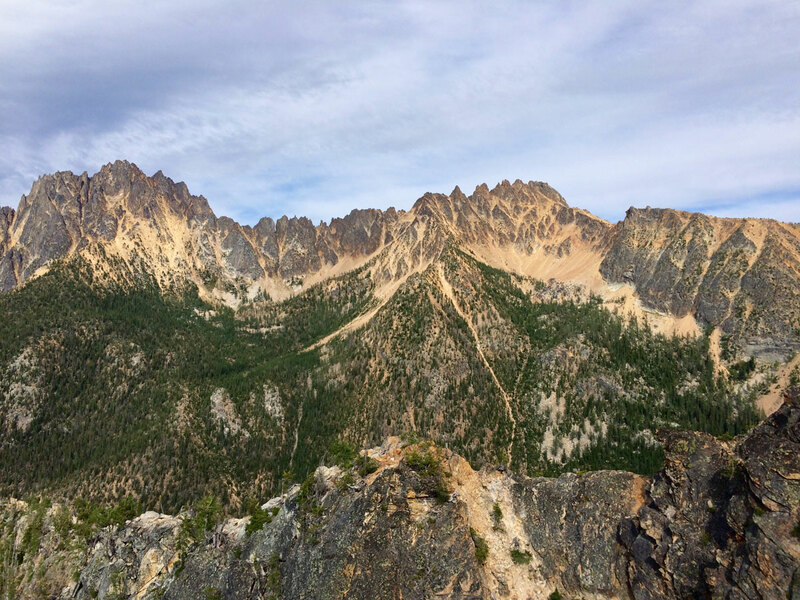 The granite spires of the Cascades are often overshadowed by their colossal snowy neighbors to the west, however what these peaks lack in height and glaciation they more than make up for with sheer rocky faces, big vertical relief, mild weather and spectacular views. 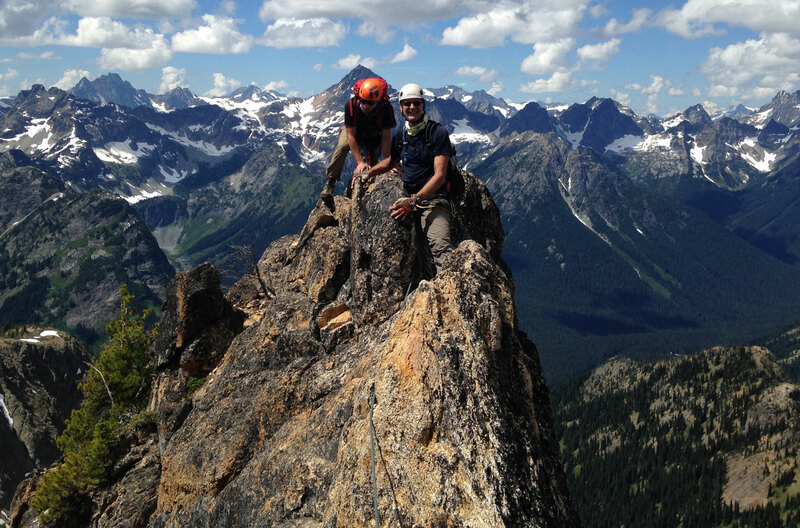 The alpine rock climbing program is a phenomenal four day course open to those climbers who have experience rock climbing and basic mountaineering skills. 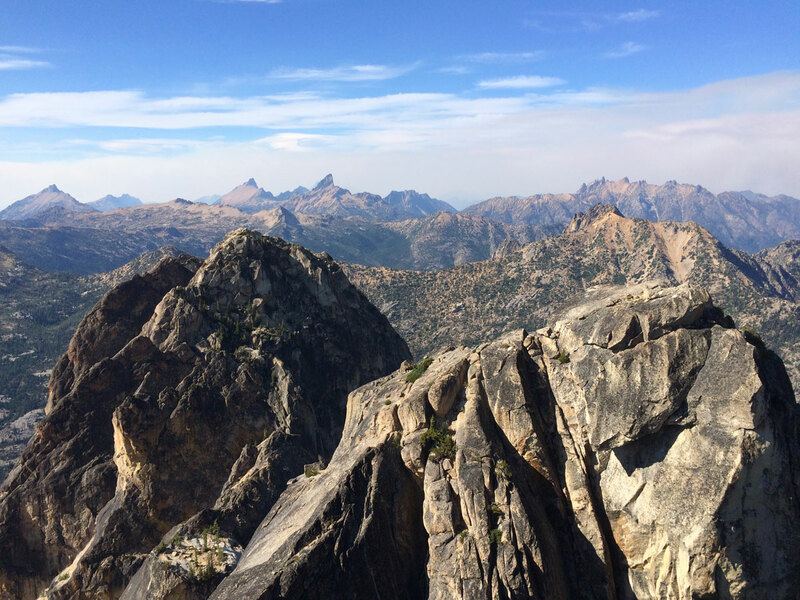 A favorite among the guides, this challenging, yet fun and rewarding course often reaches three unique summits in just four days. This is great training for the Matterhorn and can be used as the Prep Course. 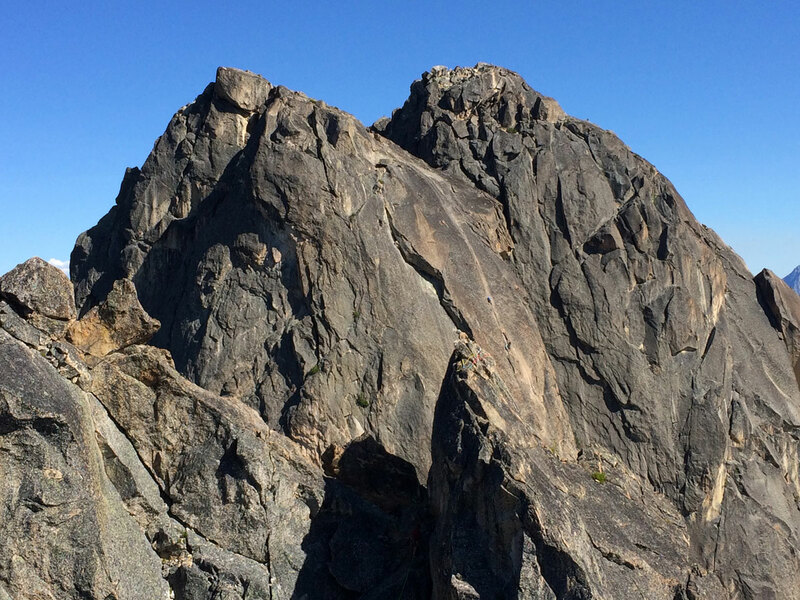 Please note, climbers using this course as a Matterhorn Prep will have a slightly different gear list. Maximum Team Size: Two climbers with one guide. 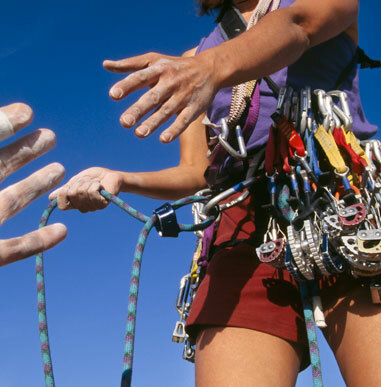 Provided: All group climbing equipment: climbing ropes and technical hardware; transportation. Not provided: Personal equipment. You are responsible for all items on the Gear List. You are responsible for your own food. Before departing for the trailhead, we will check and organize personal/group gear. If necessary we will make one final stop for groceries. Successful 6 Day Course or equivalent minimum + basic rock climbing skills/experience. Multipitch climbing experience is preferred. 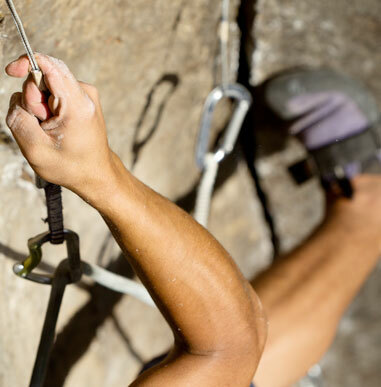 If you do not have the necessary rock climbing experience, we encourage you to contact us so that we may assist you in arranging or locating a suitable prep course. 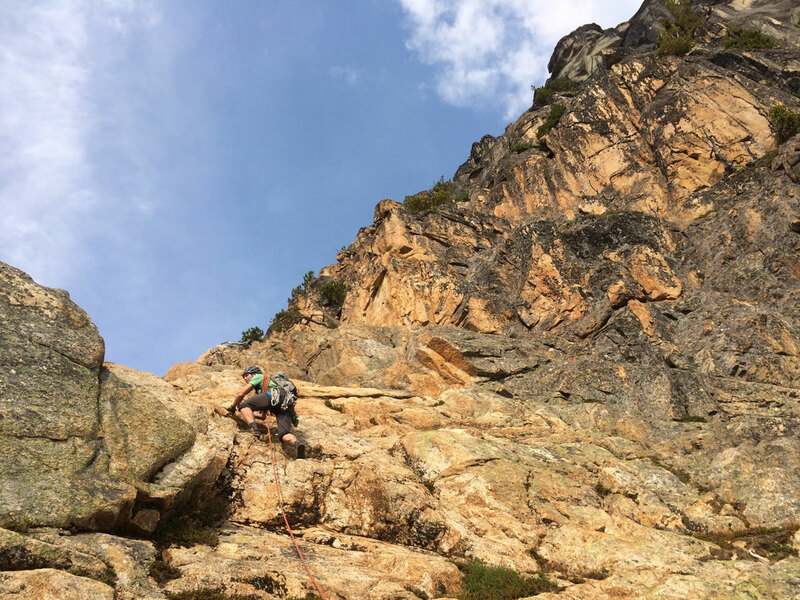 This program is designed for the beginner or intermediate climber who wishes to develop strong fundamental skills in all aspects of alpine rock climbing. 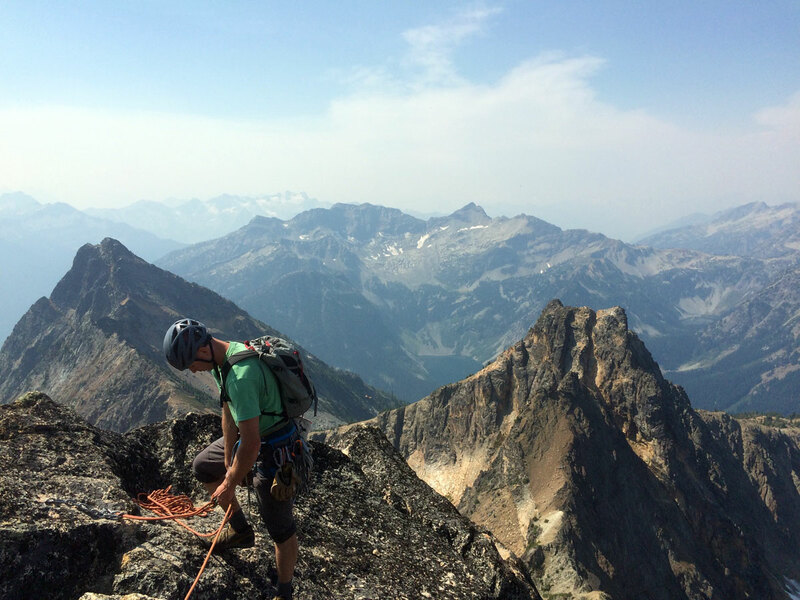 The Intro to Alpine Rock Climbing Course combined with the 4 Day Mount Shuksan Fisher Chimneys Climb offers outstanding preparation for a climb of the Matterhorn and is highly recommended for those who can make the time. This is a highly recommended shortlist. We would be happy to pass on a longer reading list for those interested. These links will take you to Amazon, where you can read reviews or make purchases. 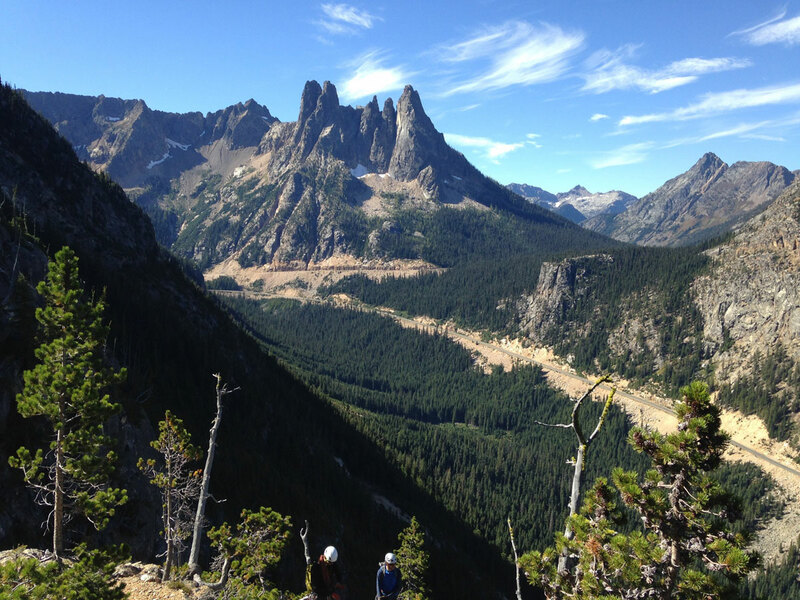 You will be mailed specific information for your climb or course upon registration. The following is to serve as a helpful guideline. You should aim to be in the best shape of your life. The weight of your pack is generally 30 pounds. We invite you to check out our comprehensive training page. We highly recommend checking with your physician before embarking on strenuous physical activity. We reserve the right to turn away those climbers who we determine to be in inadequate physical condition. How do I reserve a space for a course? The best way to reserve space on a course is to call our offices and place the deposit on a VISA/MC/AMEX. You may also fill out a secure online application here. Our courses fill quickly on a first-come, first-served basis, and registering over the phone is the best way to ensure reserving the course dates you want. You may also submit an application by mail with a check, money order or credit card number (see register section of website). Location: Alpine Ascents Office. 109 West Mercer Street, Seattle. Finishes: Between 6:00pm – 10:00pm on the last day of the course. Please note: Our recommended hotel, The Marqueen Hotel is located two blocks from our office. Do I have different logistics if I am on a private climb? 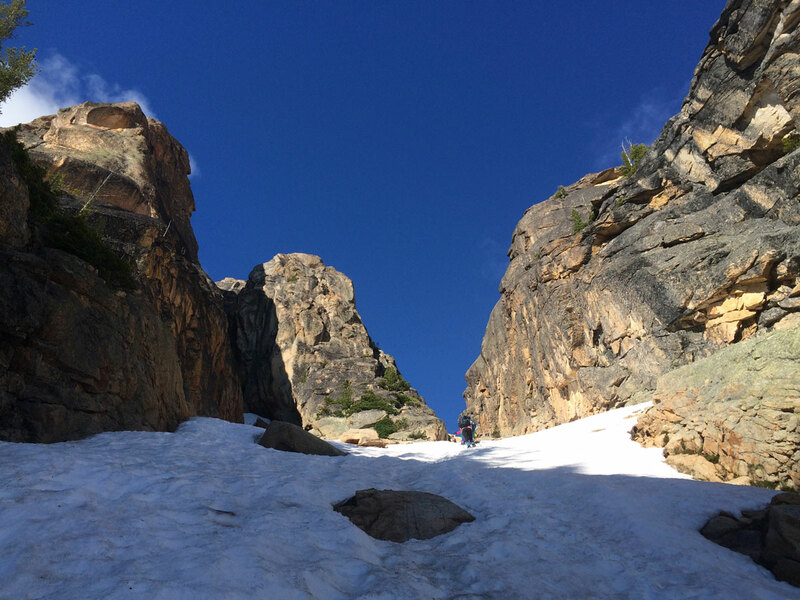 Private climb logistics are generally as follows: We meet the morning of your course at 7:00am at the Alpine Ascents offices. You are responsible for your own food and transportation. 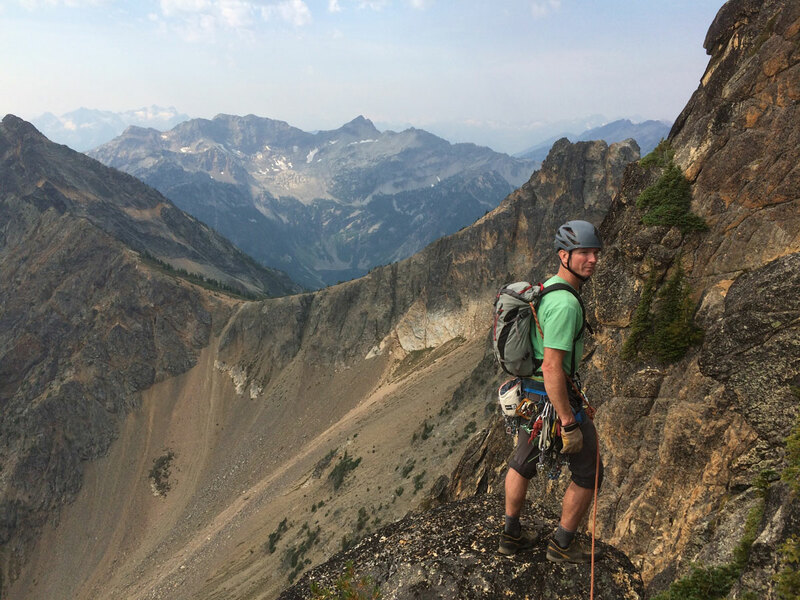 Private climbs of 3 days or less may require a gear check the day prior to your start date. We recommend staying overnight the night before the course begins and on the evening of the last day of the course. Because our last course day is a summit day, there are variables that make it difficult to guarantee the exact time each course will end. You will need to be ready to go at 6:30am on the morning your course begins. Please note; if you have a 2 pm gear check the day prior to your climb, it may be advisable to arrive 1 day before your gear check. There is limited parking near the Alpine Ascents Office. Unfortunately, parking in downtown Seattle can be difficult. There are several parking lots and garages nearby that offer daily parking, but most do not offer weekly parking. A good option is to contact the Seattle Center Parking office and look into purchasing a monthly parking pass through them. They have a few garages with several pricing options: seattlecenter.com. 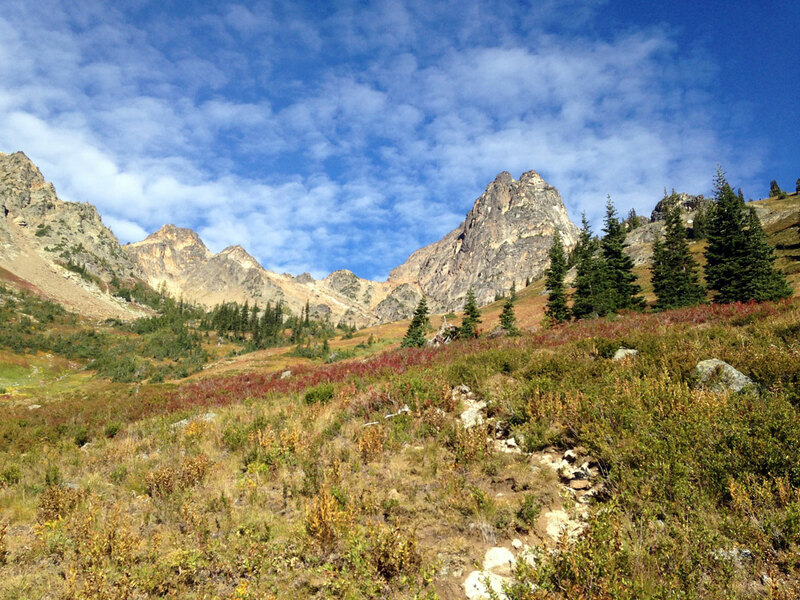 Baker Climbs require a trailhead permit, available through REI, and the Park Service. (We offer the parking permits for Baker at our office. They can also be purchased en route to Mt. Baker). Proceed to Mercer Street and turn right. Street parking is limited to 2-hour zones and parking meters, though there are several pay lots near our offices. What kind of previous mountaineering experience do I need to take a course? All courses except those listed as Intermediate are designed for beginners in very good physical condition. 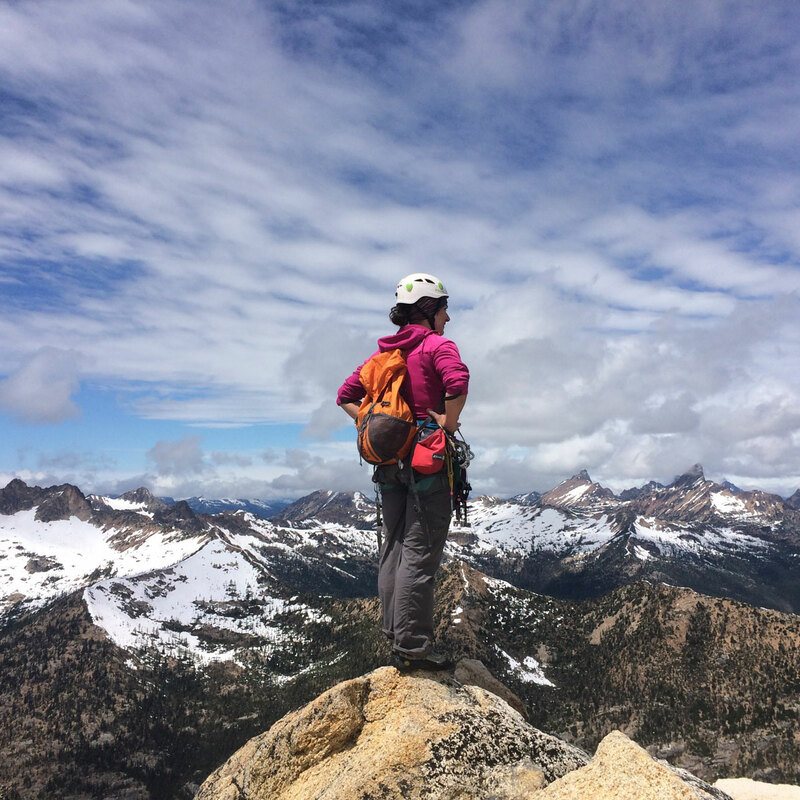 Our 13-Day course is designed for both beginning and intermediate climbers who are in excellent physical condition and serious about acquiring in-depth experience in all aspects of alpine climbing. Where do I stay the night before and after the course? Within walking distance of our Seattle Office is the Marqueen Hotel. We recommend staying there at our preferred rate. We meet at our office on the day of the course at 6:30am. The Marqueen Hotel is located two blocks from our office. If you wish to share a room with another course participant, The Marqueen can help with those arrangements. You will need a room for the night prior to the start of your course and for the last night of your course. The hotel is 2 blocks from the Alpine Ascents office. Extra gear may be stored at our office until your return. Staying elsewhere in downtown Seattle is another option. 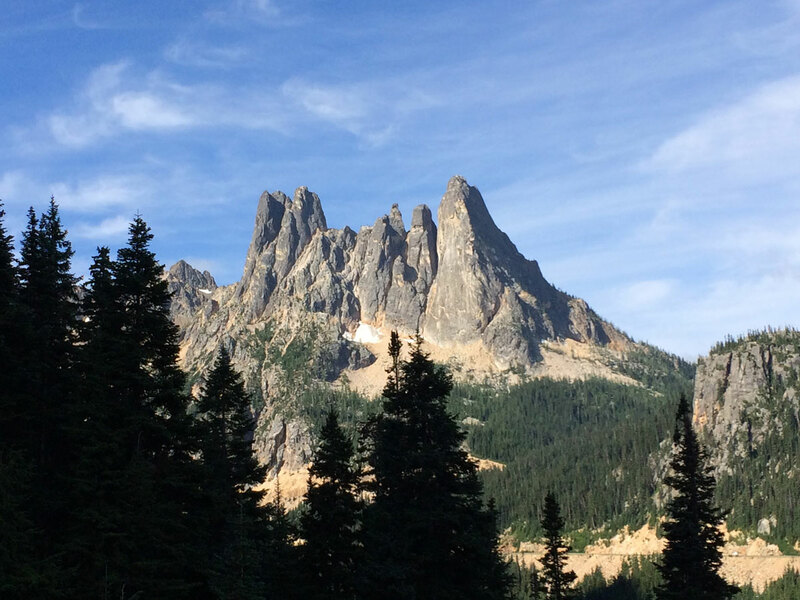 During the climbing season, hotels in the Seattle metropolis are difficult to reserve and are a bit more expensive. You may elect to stay in any one of the numerous hotels in the area, but you will be responsible for getting to our offices by 6:30am the morning of your course. We are a short taxi cab ride away from most of the downtown hotels and local equipment shops. After the course, we will return to our offices and you can return to your hotel by taxi at that point. You will need a room for the night prior to the start of your course and for the last night of your course. Please note: Free long-term parking is generally difficult in the vicinity of Alpine Ascents. If you plan to stay in Seattle and have a car, try to arrange a taxi or ride to our offices on the morning of the course. Extra gear may be stored in our office until your return. 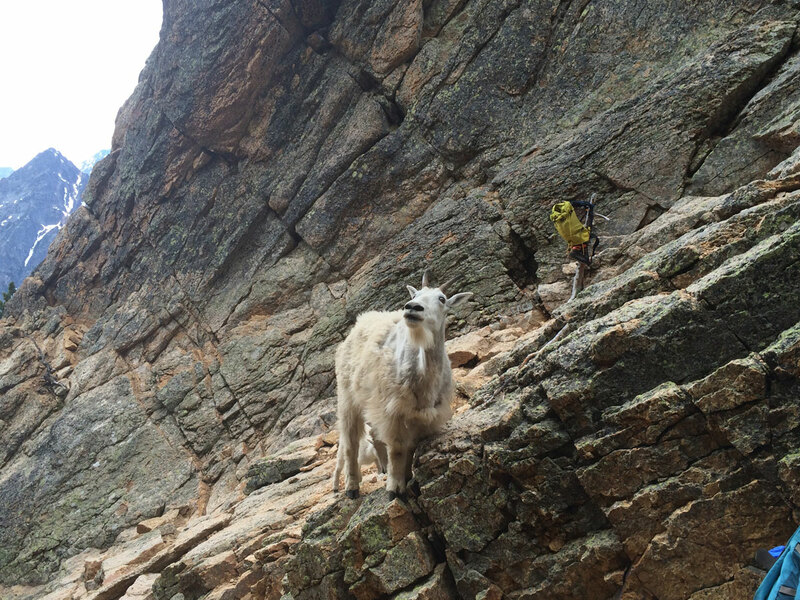 Is food provided on my climb or course? As part of the curriculum, you are responsible for your own food. Before departing for the trailhead, we will check and organize personal/group gear. Additionally, if necessary we will make one final stop for groceries. However, it is advisable to purchase most of your bulk foods before we meet. If you are staying in Seattle, there are numerous supermarkets as well as the flagship REI, North Face, and Patagonia gear shops for fresh and prepackaged foods. Note for 13-day students: Following the first six days of the program we will return to our vehicle and travel to the rock climbing area. At this time we will re-supply our food and have time to shower. Initially you need only to carry food for the first six days. Our 13-day program is our most physically demanding course. Where do I pick up my rental gear for the course? Can I share a tent and stove? Yes, students generally pair up during the gear check to share the weight and bulk of a tent and stove. Since everyone purchases different gear and is a different size, it is hard to give you an exact weight. For most of our courses, you can expect your internal frame pack (packed with gear and food) to weigh between 55 and 65 pounds. 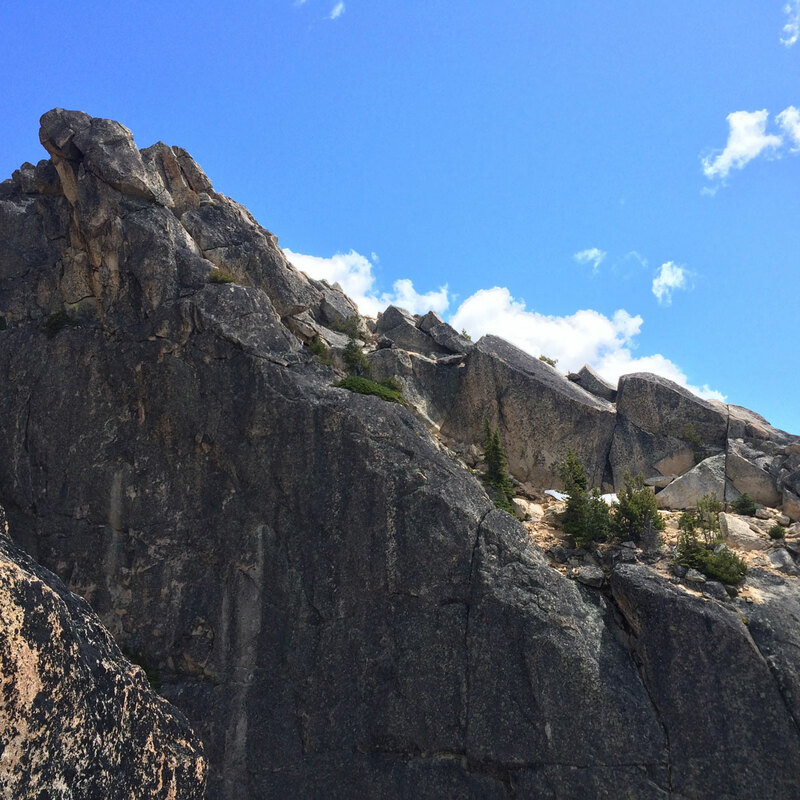 It is likely that you will be asked to help carry some of the group equipment such as ropes and protection, so make sure there is some additional room in and on your backpack for approximately 4-8 pounds of gear. The total potential weight to be carried is 65 – 75 pounds. What can I read to prepare for the course? You will get far more out of your course by reading Mountaineering: The Freedom of the Hills, 6th ed., The Mountaineers. This book provides an excellent overview of the elements involved in alpine mountaineering. Chapters 1, 2, 3 and 6 review many of the aspects we will be covering during your training and familiarity with these aspects will greatly enhance your experience. How many students/instructors are there per class? On our 3-Day Mt Baker climbs the ratio is 3:1, Training Courses (programs 3 days or greater), the student to instructor ratio is 5:1 . For our 13-Day course it is 4:1. 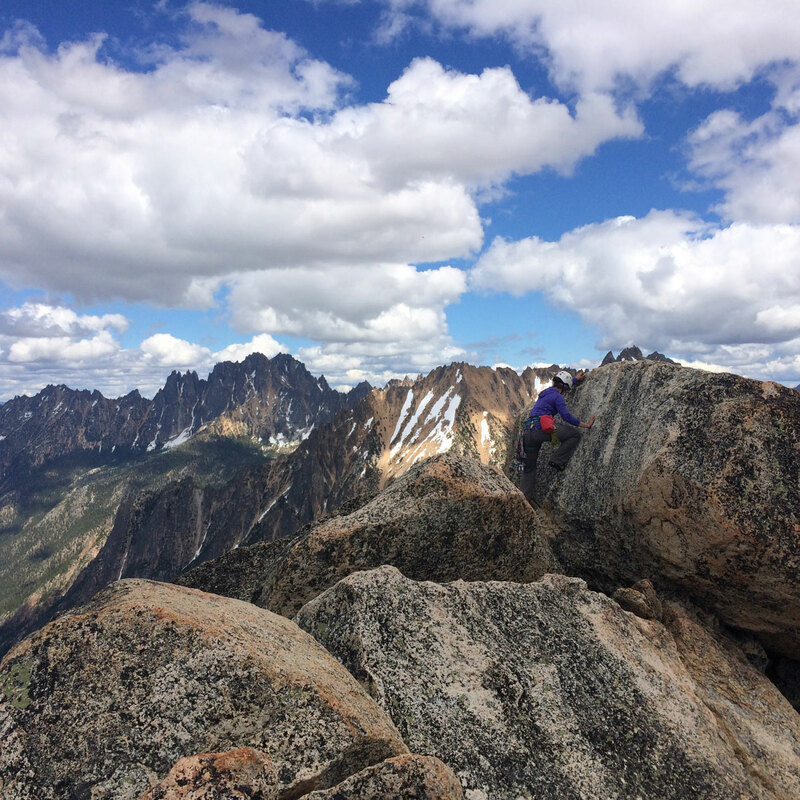 Our 8-Day and 12-Day Alaska courses have a 5:1 ratio. 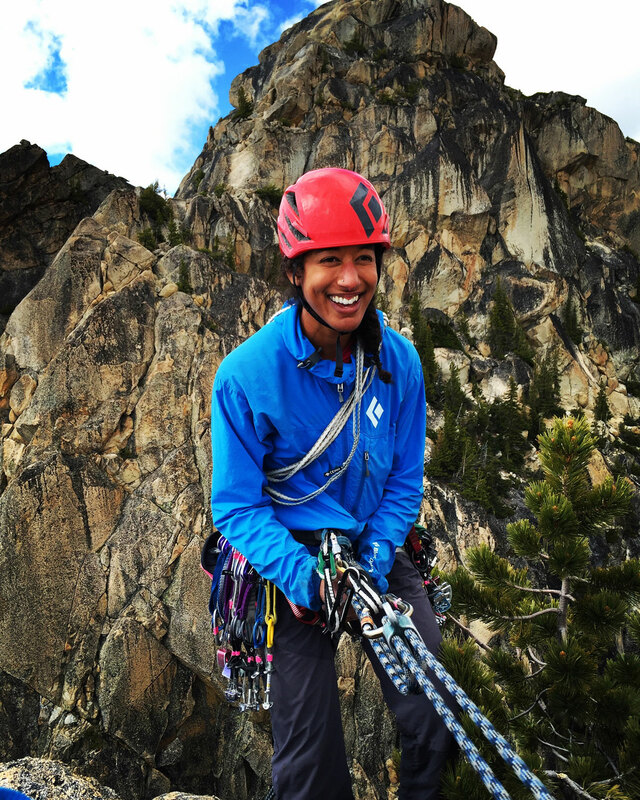 We run our own retail climbing shop and online gear store, where all Alpine Ascents climbers receive a discount. All of our gear is of the highest quality. 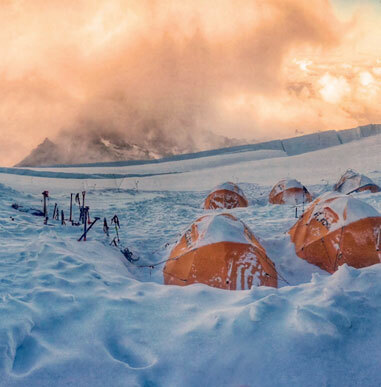 The boots, packs, crampons, ice axes, tents, and other items are cleaned and checked on a daily basis. Please note that double plastic boots do not break in. 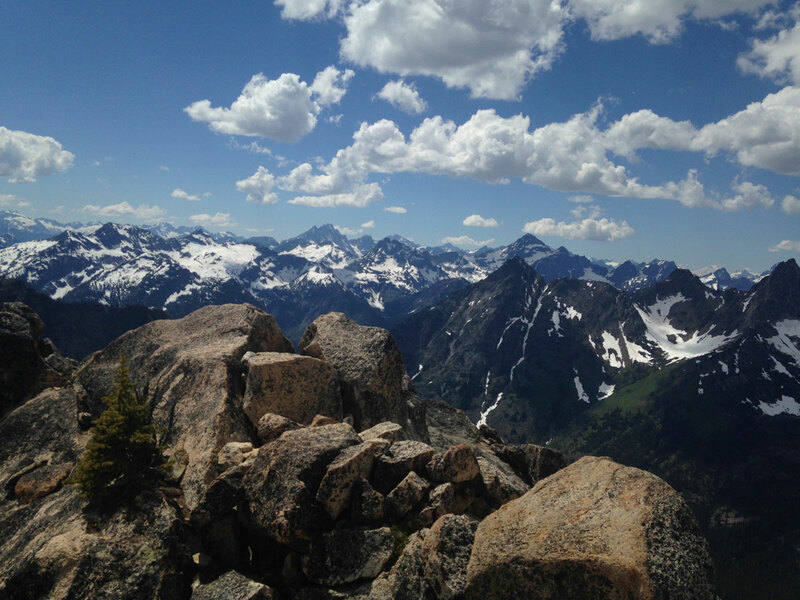 How is the issue of human waste in the North Cascades dealt with by Alpine Ascents? Yes. 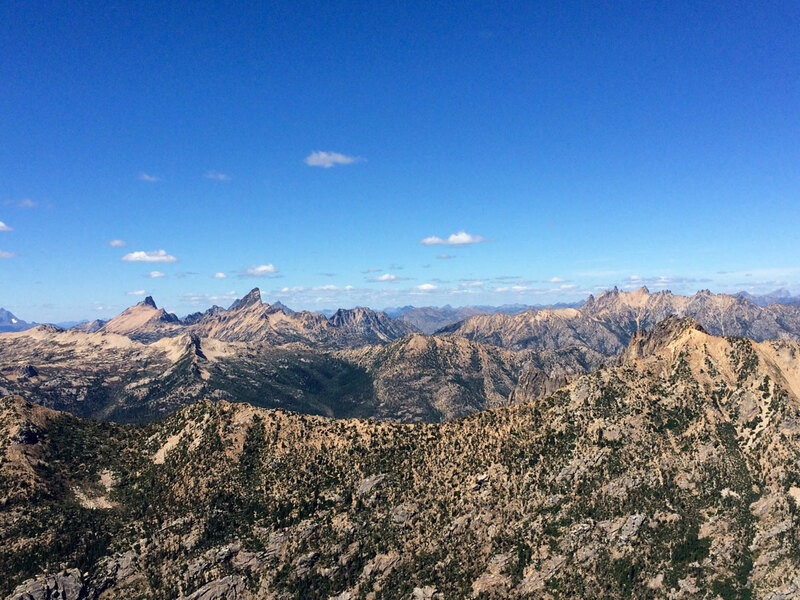 See the training tips above, but… Keep in mind that you are climbing a mountain and it is not easy. If you follow our physical fitness tips and do some training on your own, you should complete the course with no problems. 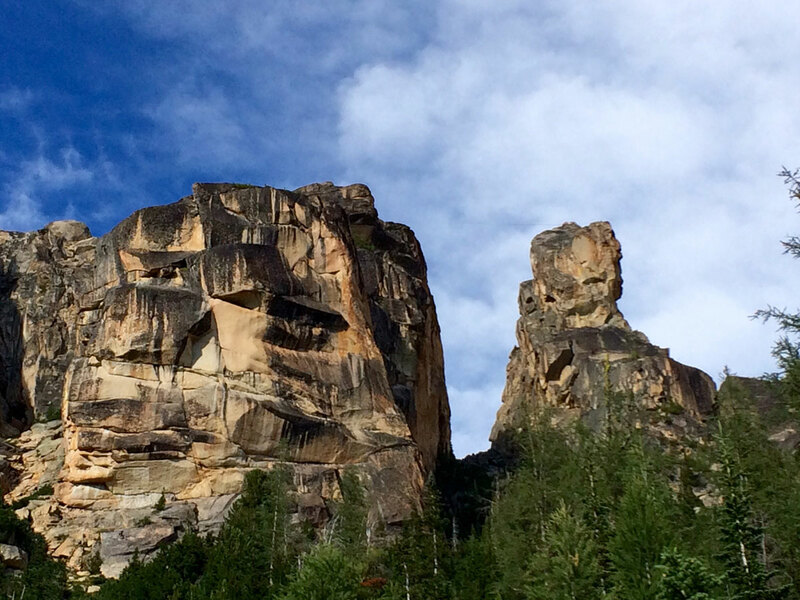 For climbers who need to be escorted from the course, there is a minimum fee of $350.00.